North Korea’s escalating provocations — ranging from nuclear tests to constant tests of missiles intended to eventually be capable of delivering nuclear payloads — have elicited a response from U.S. policymakers. Washington wants to restrain the regime in Pyongyang and to eventually de-nuclearize the peninsula. Yet the United States possesses few levers it can employ to shift North Korean policy. For quite some time now, a prominent strand of the conventional wisdom endorses the idea that the United States should pressure China to shut off oil exports to the government of Kim Jong-un. An August report in Reuters, for instance, was headlined “For North Korea, cutting off oil supplies would be devastating,” and quoted a South Korean expert as predicting that a Chinese oil cut-off would lead to the collapse of the North Korean regime. The logic seems convincing and may even guide upcoming action sponsored by the United States at the United Nations Security Council. Oil plays an essential role in many industrial and military processes; North Korea has virtually no domestic oil production, and has long been reliant on external sponsors (once, the Soviet Union; today, China) for imports. Take away the oil and the North Korean economy will sputter to a halt, leading to regime collapse. It’s likely, however, that this claim is overblown. Threats to North Korea’s oil supply are unlikely to resolve the stalemate as quickly and easily as that scenario envisions. Despite oil’s talismanic status and real economic importance, threats to cut states off from petroleum supplies are more complicated than the light-switch model implies. In particular, North Korea’s decades of economic isolation and the Kim regime’s intense desire to survive actually render it less vulnerable to pressure from an embargo. The current wave of enthusiasm for cutting off North Korean oil sanctions to force policy changes mirrors Western fears during the 1973-74 oil crisis. After Arab oil producers raised the price of oil to then-unprecedented heights, planners and politicians feared that OPEC’s oil cartel put oil-consuming countries in a position of unprecedented strategic vulnerability. Hans Morgenthau, a founder of the realist school of international relations, asserted in 1975 that oil producing countries could “destroy the political, economic, and social fabric” of a country totally dependent on oil imports, such as Japan, by imposing an embargo. 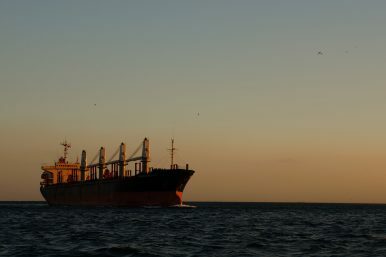 Rather like nuclear deterrence and compellence, the significance of this threat would not be in exercising it, but in the way a government could exploit its leverage over an oil-importing state to pursue policy changes in the targeted regime. Yet the record of relations between oil-producing and oil-consuming countries since the 1970s has fallen far short of this dire prediction. Major oil importers have, if anything, become less vulnerable to supply shocks than they were in 1973 through the creation of strategic reserves and investments in energy efficiency. Such observations may seem to mean little in the context of North Korea, a poor state with little access to the global oil markets that other countries rely on for their energy security. Yet the differences between North Korea and the developed world point to the conclusion that Pyongyang is even less vulnerable to energy interruptions than developed economies. It’s true that the North Korean economy has cratered in the meantime, but it’s also true that the acute economic pain of the 1990s and 2000s has not led to regime change or collapse. The North Korean state has adapted through three strategies: increased reliance on hydropower, greater exploitation of its coal reserves, and simply doing without. The EIA estimates that North Korean electricity consumption remains at about half its 1990 levels. In the transportation sector, mechanics have adapted previously petrol-reliant trucks to burn wood. What’s most telling is how resilient the North Korean government has proven despite not adopting what might seem like even more effective strategies in response to an oil shortage. Persistent speculation holds that, like Nazi Germany or Apartheid South Africa, North Korea could seek to turn its abundant coal reserves into oil via the Fischer-Tropsch process. It would be, in a sense, surprising if North Korean leaders had not had the same thought, and there does seem to be evidence that coal liquefaction plants have been planned. Advocates of an oil embargo note, of course, that the regime continues to import oil from China, and they claim that this vulnerability gives outside forces tremendous leverage over the North. However, the fact that the North relies on Chinese imports does not at all imply that such imports are the regime’s lifeline — it might only mean that the regime is making a calculated decision about where to allocate its resources. As Pierre Noel points out in a pessimistic evaluation of the prospects for an oil embargo, the fact that North Korea imports oil rather than turning to autarky reflects a straightforward economic logic. Cost matters, even for the juche state, and turning Korean coal to oil is more expensive than trading Korean coal for Chinese oil. The upshot: If oil imports became unavailable, then Pyongyang would be likelier to employ autarkic strategies to survive than to give in to external pressure. The regime has demonstrated its resilience over several decades of experience, and has in fact proved more committed to its strategic aims than its adversaries have been to theirs. As Dan Drezner observes, “Any country willing to starve its own population will not buckle because of economic pressure.” Furthermore, unlike other targets of oil sanctions in the past, North Korea does possess nuclear weapons, and considerations of bargaining advantage would have to take this factor into account. This does not mean that sanctions would be meaningless. Transgressing international norms against proliferation demands some response, after all. And if the vulnerability of the Kim regime to oil embargoes has been exaggerated, so too has the degree of influence that the Chinese regime gets from maintaining a lifeline to North Korea. The more important questions to weigh would be the relative value of demonstrating credibility through imposing a cost on the regime versus the collateral damage to North Korean civilians. In the end, though, it’s hard to imagine that the fantasy of an oil embargo quickly bringing Pyongyang to its knees isn’t a reflection of a deep-seated desire to avoid recognizing reality. Despite the desire in Washington and elsewhere for a painless solution to a vexing political problem, the solution to the Korean impasse will have to be political—and will likely require acceptance of a difficult compromise, including terms that may have once been unthinkable. Paul Musgrave (@profmusgrave) is assistant professor of political science at the University of Massachusetts Amherst. He studies U.S. foreign policy, international relations theory, and the resource curse. Yu-Ming Liou (@yumingliou) is a political economist and data analyst and a partner at Blind Fox Analytics, a data consulting firm focused on RCT and observational research design and data analysis for government, non-profit, and commercial clients.